Managing your credit cards can feel like a juggling act. Which cards do you get? Which cards do you use and when? What card to you try to pay off first? What card do you use for a balance transfer? When do you make the transfer? It may seem complicated, but it’s really not if you are keeping an eye on your credit and being mindful about how you use it. One of the best tools you can use is the balance transfer, which allows you to move the balance on one credit card to another. 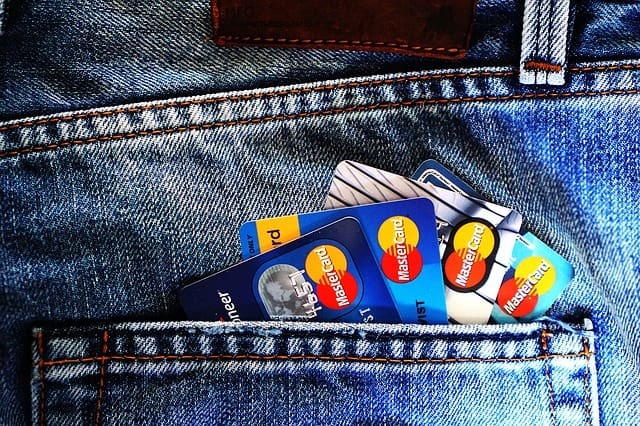 There are many reasons why you might want to trying transferring credit card balances, including significant cost savings if you time it right. One of the best reasons to transfer a credit card balance is to save money paying off debt. The interest rate on a credit card can be as high as 30 percent. Over time, those little purchases you made can add up to a huge balance, and you can end up paying thousands of dollars in interest. The less you pay toward your credit card each month, the more you’ll end up paying in interest. There are many cards offering 0% on balance transfers. If you qualify for such an offer, you can pay off your credit card debt faster and pay less in interest. Typically, these 0% offers are limited in time, so you’ll need to pay it off within that period to get the maximum benefit. Also, check the fee for the transfer to be sure that it doesn’t offset the savings you’ll get from the interest. When you pay your bills and how much credit you have are not the only factors that are considered when determining your creditworthiness. If you have a high credit card balance compared to the limit on that card, that will count against you on your credit report and will bring down your credit score. The more cards you have carrying balances close to their limits, the worse the damage will be. By transferring some of those balances, you might be able to bring down your ratio and protect your credit rating. For example, if you have a card with a $2,000 balance and a $2,000 limit, that will act as a negative on your credit report. If you transfer that balance to a card that has an $8,000 limit, you will restore your credit health. Maintaining good credit health is essential to being able to buy a home or a car, and the better your credit is, the better the terms you will get for those bigger purchases. It’s easy to get carried away with credit. You get those pre-approval offers in the mail and the terms look good so you go ahead and accept. Before you know it, you have five or six credit cards in circulation. Perhaps the limits are low, so you feel freer to use them. Or maybe you hit the limit quickly and so have to move on to the next card. The result is that you have multiple minimum monthly payments to make, which can put a strain on your budget. By transferring your balances, you can consolidate your debt and make one affordable monthly payment. Maybe you have hit some hard times and you haven’t paid your credit card in a couple of months. Before the bill goes into collections – and you take a major hit to your credit report and aren’t able to get any new lines of credit – you might want to transfer the balance to another card. You’ll forego the month while the balance is being transferred, and you’ll end up with a lower monthly payment and a lower interest rate. Transferring credit card balances can be a financially strategic move if you time it right. These are just a few of the times that transferring balances just makes good financial sense. Just make sure that you are watching your credit carefully and making decisions wisely and objectively. Kayla is an online business expert who helps entrepreneurs who feel chained by your finances bet on yourselves. At KaylaSloan.com, it's all about making your work life something you truly, truly love. Kayla is also the founder of $10K VA, her flagship program where she teaches you how to make a consistent $10,000 per month as a virtual assistant! That’s an interesting point about using a balance transfer card to help pay off credit card debt. True, the interest charge savings can be significant, provided there is no (or a small) transfer fee. Another thing to watch out for is the duration of the ‘zero rate period”. Once it expires, you may be hit with a much higher rate than your previous card’s.